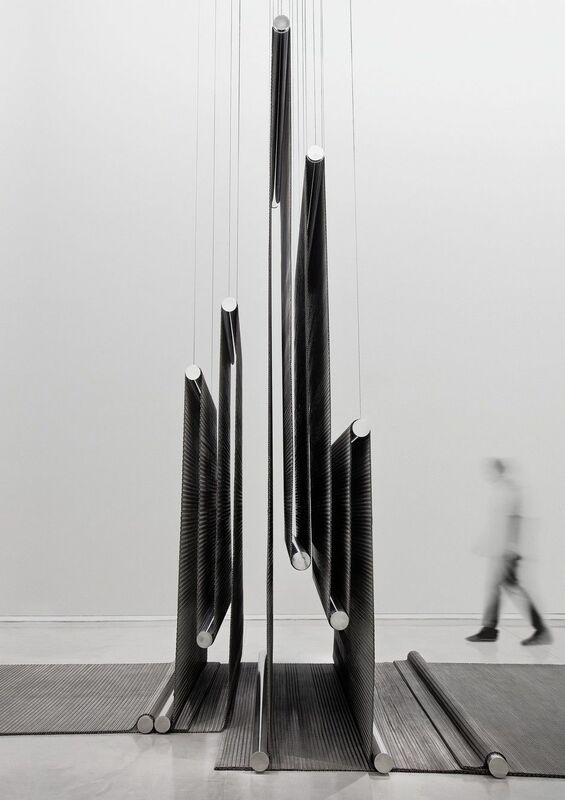 From March 23rd to June 24th, 2019, the Pinacoteca of São Paulo, a State of São Paulo Department of Culture and Creative Economy museum, presents the exhibition Artur Lescher: Suspensão [Suspension], on the 4th floor of Pina Estação. Curated by Camila Bechelany, the retrospective examines the most important moments in the artist’s career and gathers 120 works, including installations, sculptures, models, and sketchbooks. The exhibition highlights how Lescher has concerned himself with the concept of gravity since the start of his career, using engineering and mathematics to support his own poetic expression. Artur Lescher (São Paulo, 1962)’s sculpture first drew critical attention following his participation in the 19th Bienal de São Paulo in 1987. 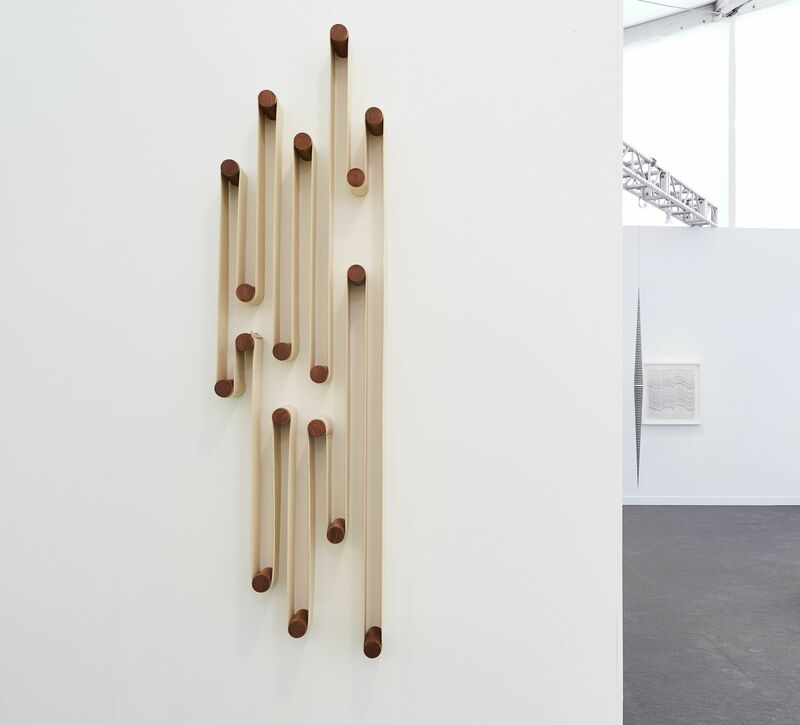 The artist has since gone on to explore his relationship with the exhibition space, intervening subtly in this space to leave the observer with a memory of that place. In pursuing this concern, his interests range from model building to astrology, through mathematics, architecture and mythology. For the Pinacoteca exhibition his 30 years of investigation have been separated into three axes/rooms: (1) Narrativas Líquidas (Liquid Narratives), which examines both the potential and the challenges of materials; (2) Suspensão (Suspension) on verticality in sculpture; and (3) Engenharia da memória (Engineering of Memory), which presents the artist's investigations into a rewriting and imaginary construction of the city. In conceiving his works, the artist always uses sketches or models as his starting point, only choosing the material to be used at a later moment. The material is then labored using semi-industrial processes such as welding, polishing and galvanising. The piece is then suspended, thus finishing off the tension the work. The projects that make use of gravity to explore the interaction of the work with the space are to be seen in Suspensão, along with the pendulums. “In this room we can see the challenge of weight, the strength of the material and the relationship with the public space and the position of the spectator, all issues which are important to the artist", says Bechelany. “The verticality of the works suggests the attempt to reach another world, to escape, to travel. 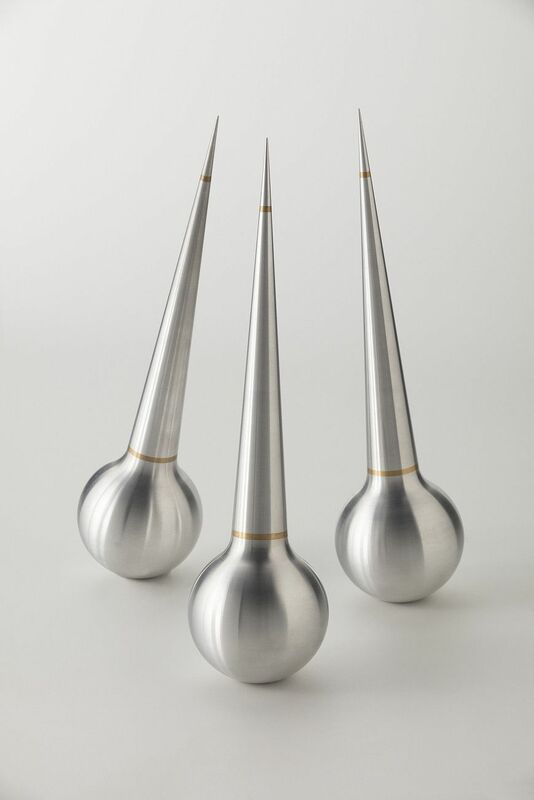 The pendulums also relate to an imaginary cosmogony or an interest in reading the heavens. Each work is as a point of reference and the pendulums together act as an imaginary map of the skies above us", explains the curator. The elegance of Lescher’s drawing and the perfection his execution in his exploration of the duality of weight and lightness point to a fertile dialogue with the traditions of Brazilian sculpture, notably the works of Waltercio Caldas. Bechelany goes on to say “In Lescher’s work is to be found the empiricism and the perception that command and justify the proportions and the scales in which his works are drawn and which draw the space." Finally, the last room, Engenharia da Memória, is dedicated to the construction of imagined realities and the relationship with the urban space, with approximately 50 models and notebooks serving as a prologue to Lescher’s work. These materials are shown publicly for the first time and permit a deeper and unprecedented understanding of the artist’s work. On display in the same space is the installation Nostalgia do engenheiro (2014) (Nostalgia of an Engineer), a tribute to Giorgio De Chirico consisting of a group of 16 metal and wooden objects on a base, in a reference to the metaphysical spaces imagined by the Italian artist in his paintings. Artur Lescher: Suspensão is accompanied by a catalogue which includes an interview by Lilian Tone with the artist in which he looks back on his career. The catalogue also includes images of the works in the exhibition, as well as other works of interest. 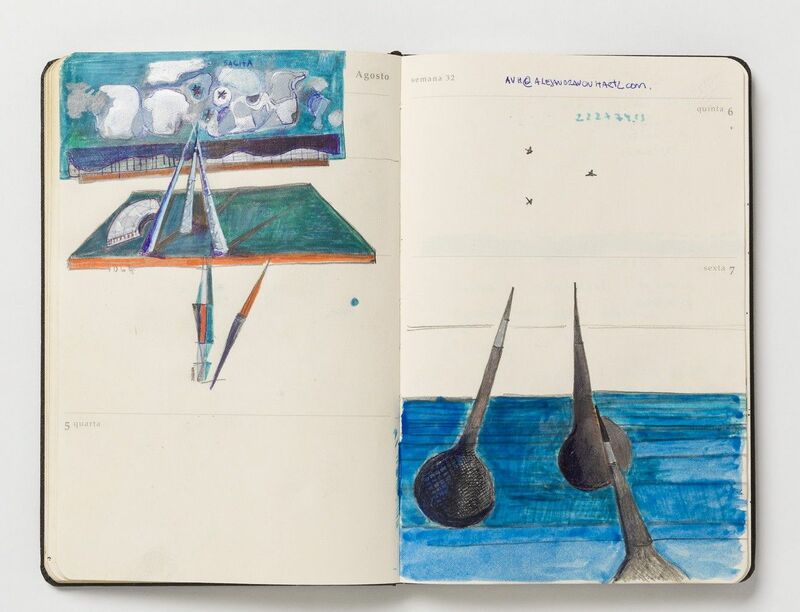 Also published for the first time are illustrations of the models and notebooks which help us understand how the artist works, in addition to texts by the exhibition’s curator, Camila Bechelany, and Juliano Pessanha. The Pinacoteca’s Educational Department (NAE) offers training and educational material to teachers, in addition to a guided tour which is available to visitors at the entrance to the exhibition. Saturdays, Sundays and Bank Holidays at 10:30 and 14:30, at Pina Estação. Groups of up to 20. Pre-registration is not required. Those who wish to join the tour are asked to wait at the entrance to the museum. Guided tours for school groups and others on weekdays from 30 March to 24 June may be booked by telephoning (11) 3324-0943 or (11) 3324-0944.